I am so excited you have found me on the world wide web! Please explore all that Mikayla D Photography has to offer you and your family as you look to invest in an invaluable experience. Creating and preserving memories of your family to enjoy for all of time is a treasure! Mikayla D Photography is located in Corpus Christi, Texas. I love to integrate classic portraiture and lifestyle photography in all of my work. I desire to focus on the love and connection between loved ones. I am Mikayla DeHoyos. Family and relationships is what inspires my photography. Photography has changed the way I understand family. To document your love for you and your family would be a great joy! To me, portrait photography is about capturing where you are, at that moment, with those you love. I want to capture the connections. I try to approach each session with a light-heartedness that makes you feel that you are with a trusted friend, because I understand that you are trusting me to take an intimate step into your life. I take that on with a humbled excitement! Jesus is my number one! I have been married 10 years to my husband, Albert. We have three kids, Roman (6), Mila (4), and Hezekiah (8 months). We recently made a big move back to New Mexico (where we were born and raised) after living in Corpus Christi, TX the past 3 years. Though we loved our time there, we were happy to return home to the land of enchantment. I was fortunate to meet some amazing families in Texas and grow my business. I will definitely be missing the beach but plan to continue to travel up to my favorite spots for sessions in the future. I graduated from New Mexico State University in 2011 with a Bachelor's degree in English Literature. I believe in loyalty and commitment and good ol' fashion hard work. I have a hard-working husband and we have both made sacrifices for me to be at home to raise our kids. Though I wanted to start a career in my field, I knew that I was called to be a mother in this season of life. As I journey through this path of motherhood and family life, I have found a new avenue of storytelling and a way to connect with others on this journey as well. Through photography I have learned a deeper understanding of the story each family has to tell and how beautiful it can be. What I find fulfilling in capturing the memories of my clients is that photographs embody a storytelling value that they can preserve and cherish for a lifetime. I hope we can connect and get started documenting your story! My main goal for your session is for you to feel comfortable and relaxed. I encourage my clients to interact with each other as well as guide them into some posed. But above all, I want to capture images of your unique self! I enjoy discussing with my clients their hopes for the session as my art is being created for you to cherish for a lifetime. How do I schedule a photo session? You can email me by visiting my contact page. I have a flexible shooting schedule so after you have contacted me I will ask what days of the week are best for you and let you know my next available opening and we can confirm a date and time. After booking your session we will have a brief consultation, either in person or by phone to better understand your expectations and desires for the session. To confirm your booking, you will need to pay a $100 deposit to secure your session. This can be done by cash, check, or by credit card. Vibrant colors and textures are great. If neutrals are more your thing we can talk about that in our consultation. Try to stay away from distracting logos, too much white, or revealing outfits. NO bright neon colors, they don’t photograph well! For inspiration you can look at my Pinterest board here. I also have a brand NEW client wardrobe with gowns, including maternity and also some outfits for children. All sessions usually run around an hour for a group as large as 6 people. The more people, the longer the session. But there will never be a need to rush as I clear my schedule to focus on you and your family. 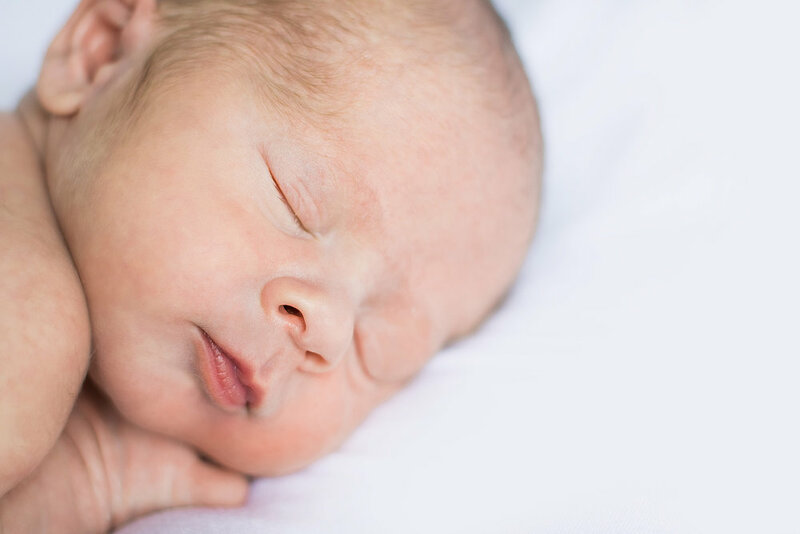 Newborn sessions take a bit longer (about 3 hours), as baby will need time to be fed, changed and comforted to sleep. For First Hours session, you will notify me after baby’s arrival and we will plan a time for me to come that day or the following. I am an on-location photographer and love to work with natural light. Most of my sessions take place outdoors. Newborns I prefer to photograph in the comfort of your home. For in home sessions I like to consult in your home to find what spots will work best for your session. You are welcome to make suggestions for locations and themes and I also have recommendations if you need them. I photograph newborns within two weeks of birth, when they are still in the sleepy stage! Life can get hectic when you bring baby home so it is best to schedule in advance. I no longer offer mini sessions as I have in the past. I found that I cannot limit my sessions to such a short time frame and my images to such a small number. I like to tell a story with your session that fits my lifestyle approach. I do offer a petite Maternity session when it is booked with a newborn session or BFYC. Within three weeks after your session I will have a gallery ready for you to view online. I will send you a link, you will be able to download all your images from your session there. You will also receive a print release to print your images for a lifetime! There is also an option to order prints. Payment for your print order will be due at this time. You have one chance to reschedule your session. If it is canceled a second time, you will lose your session and non-refundable session deposit. I understand that the printing needs for your memories may change as time passes which is why my collections are all-inclusive. All prices reflect the cost of both the session and the digital files. It is also very important to me that you receive a tangible image from you session as each full collection has a print product included. You are also able to order more prints and products from your gallery so that you can display your custom portraits in your home! Pre-Session Consultation, 45 minute session, on-location. Covers up to 3 people. All images from session (30 minimum) available on a private online gallery. Digital file download with printing rights. Pre-Session Consultation, 1 hour session, on-location. Covers up to 6 people. All images from session (60 minimum) available on a private online gallery. Digital file download with printing rights. PLUS 4x6 proof book. Pre-Session Consultation, 1-2 hour session, on-location. Covers up to 6 people. All images from session (60 minimum) available on a private online gallery and on USB. Digital file download with printing rights. Pre-Session Consultation. 1 hour session at my in-home studio. Baby-only, up to 3 natural poses with some props. All images from session (20 minimum) available on a private online gallery. Digital file download with printing rights. One 8x10 mounted print. Pre-Session Consultation. 2 hour session in comfort of client's home. Lifestyle images of baby and baby's immediate family. Naturally posed individual portraits of baby. All images from session (60 minimum) available on a private online gallery. Digital file download with printing rights. One 8x10 Framed Print. Pre-Session Consultation. 30 minute session, on-location at place of birth. Covers immediate family members. All images from session (30 minimum) available on a private online gallery. Digital file download with printing rights. Pre-Session Consultation. 1 hour session, on-location. Covers up to 6 people. All images from all sessions (60 minimum) available on a private online gallery and on USB. Digital file download with printing rights. $100.00 Print Credit. 8x8 Photo Book with all your favorite images from all 4 sessions. *all sessions/collections will incur a New Mexico local sales tax. *all session/collections require a $100 non-refundable payment to book. To view wedding collections and pricing click here. I would love to connect with you! Please contact me to get started on scheduling a session. Please fill out what date you would be interested in booking. Mikayla is located in Artesia, New Mexico and serves the surrounding areas of Roswell and Carlsbad. She often travels throughout New Mexico and Texas.